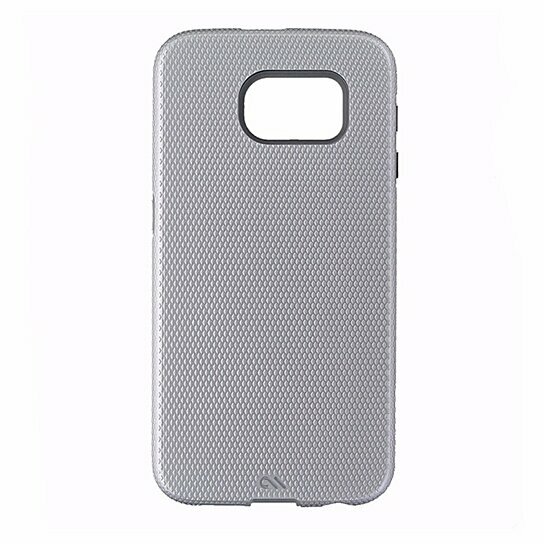 Case Mate Tough Dual Layer Case for Samsung Galaxy S6. Enhanced Grip, Slim profile, Metal button accents. Silver color on a textured shell with a Frosted interior layer.